I can notice a significant difference in stiffness going from the old SRAM bb to the DUB. Easy install too. NOTE: it is worth it to upgrade to the X01 cranks if you are going between them and the GX. This is a need if you want to run the new DUB from SRAM. It seems to be very well thought out. Doesn’t use the same B.B. tool my raceface B.B. did. Would this work on a 2014 specialized camber? Can this B.B. work with SRAM GX EAGLE DUB BOOST 148 CRANKSET? BEST ANSWER: Yes. Dub crankset works with any style (PF or threaded) BB. I purchased and installed this exact set. Took 30 minuets and works perfectly. From what I understand, DUB fits all frames. Boost fits boost frames. DUB bottom bracket is what you need to fit boost cranks also. As long as your frame is a threaded bb 68/73mm. And that you are using a DUB crankset , that's all that matters. Yes, just make sure you get the correct shell width. For as simple as "DUB" is, it can get a little confusing. my frame shell width is 68mm, does this crankset spindle fit? 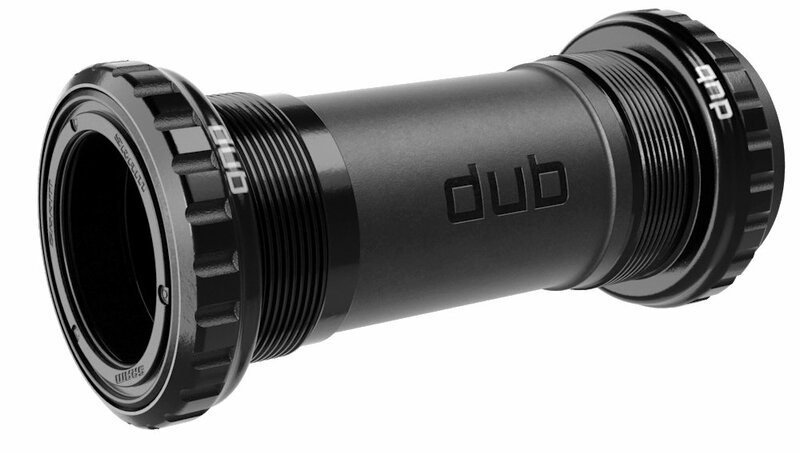 Does the SRAM DUB ENGLISH THREADED BOTTOM BRACKET come with a spacer? BEST ANSWER: Yes. A few different spacers. There is a chart detailing which spacer combination is correct for your setup. Yes, it comes with the required spacers depending on your BB. Instructions will tell you which to use. I believe that it came with two or three spacers. I only used two. Yes it does. It has several sizes. What tool does this use for install? Is it the same as shimano BB? It requires a tool like the Park BBT-79. The tools I had for older external cup bottom brackets were too small. No. You cannot use the Shimano tool. You need a BBT-79 from Park Tool.